its the same with the IED drone call in for the insurgents, instant take down on bot maps making them completely useless..... I do feel that the Security forces do need another call in perhaps a reaper drone that sends missiles down as another timed support call in similar to the gunship but limited to one per round. 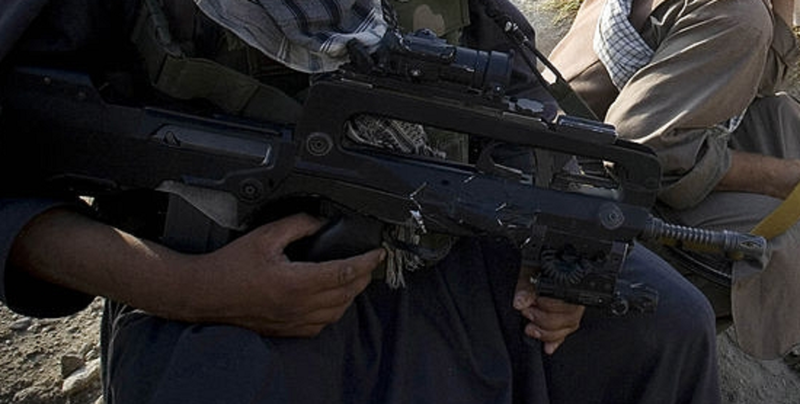 I have had a look at both weapons and can confirm the weapon in the image is 100% a FAMAS F1 you can tell by the barrel and receiver which are both standard issue FAMAS F1, all VHS variants lack the distinctive angling around the ejection port on the stock, also look at that iconic claw FAMAS charging handle under the handguard. the VHS appears to have a side mounted charging handle rather than an upright one and has no angling on the stock, just a strait flat. and blow it up from safety. All commander call its such as support choppers and the IED drone are useless as bots will all 360 no scope it as soon as it enters the area, and because sitting still causes the most issue mortar/artillery take far to long to impact to be useful meaning no one plays commander as its pointless in coop. Another thing I miss is the defence missions like in Day of Infamy where you have to defend a point and when most people are dead one man can run back for a respawn, this would also allow for commanders to use abilities defensively, this attack and random defend points currently are quite tedious not because defending is no fun, but because of players rushing often there are too few bots actually getting to the point to counter attack as they spawn miles away and take forever to get there, and the timer ticks down, a more constant assault mode would be beneficial for the community on the whole I think. With the defend a point after capture just removed from the current assualt coop mode.